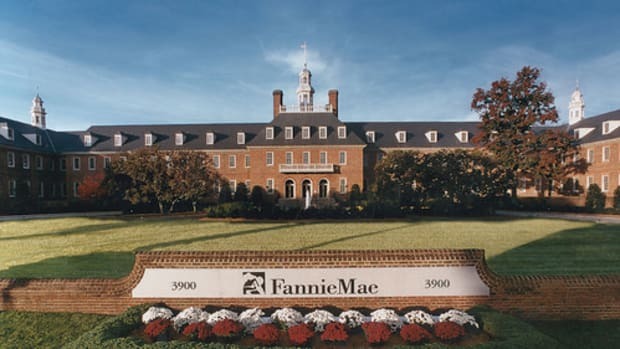 A bipartisan group of senators on Tuesday introduced a bill to abolish Fannie Mae and Freddie Mac and replace them with a government reinsurer of mortgage securities that would backstop private capital in a crisis. ... Under the bill, which is being led by Tennessee Republican Bob Corker and Virginia Democrat Mark Warner, the two companies would be liquidated within five years. Here you can read the announcement, summary, and text of the bill, and I suppose we should discuss it at some point. The basic idea is that a new government-backed mortgage insurer would insure the credit risk of conforming mortgages, so long as private capital bore the risk of at least the first 10% loss,1 making it sort of a medium-sized step from "government insures basically all credit risk of mortgages" to "the mortgage market is on its own." Which seems reasonable though fault is already being found. But what does it mean for the poor beleaguered Fannie and Freddie common and preferred shareholders? Umm, nothing good. The text of the bill says "any proceeds from the wind down of an enterprise [Fannie/Freddie] shall be paid first to the senior preferred shareholders of each such enterprise, then to the preferred shareholders of each such enterprise, and then to the common shareholders of each such enterprise." The government is the senior preferred holder, with $188 billion, so you could imagine a liquidation that brings in more than that recovering some value for the junior preferred and common? But, naaah, elsewhere they make it fairly clear that the existing profit-sweeping - where essentially all of the GSE&apos;s profits go to Treasury too - will remain in effect, so that "then to the preferred ..." is just a tease. They&apos;re hosed. The full faith and credit of the United States is pledged to the payment of all amounts which may be required to be paid under any obligation described under subsections (a) and (b) [i.e. ghost-Fannie/Freddie obligations]. So all of Fannie and Freddie&apos;s debt would become U.S. debt. 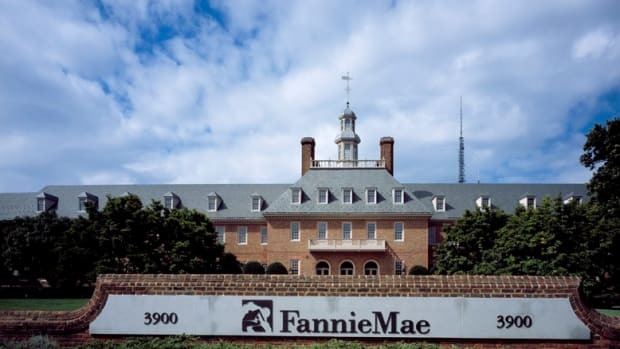 Runoff would reduce it, but these days that&apos;s $3.25trn at Fannie and $2trn at Freddie. Remember the fight over the last increase in the Federal debt ceiling, of around half a trillion dollars? That might give Fannie and Freddie shareholders some comfort that adding five trillion dollars to the U.S. debt will take a while. (2) is not less than 10 percent of the principal or face value of the covered security. What is the value of a guarantee that only covers conditions worse than moderate to severe recessions over the last 100 years? Wait, moderate, or severe, or what? How does 10% match up against that? Consider that the summary says "Ten percent is more than double the total loss severity experienced by Fannie and Freddie between 2007 and today" though, like, tell that to Florida or whatever. (2) mortgage-backed securities guaranteed by the Federal National Mortgage Association.